I have a confession. 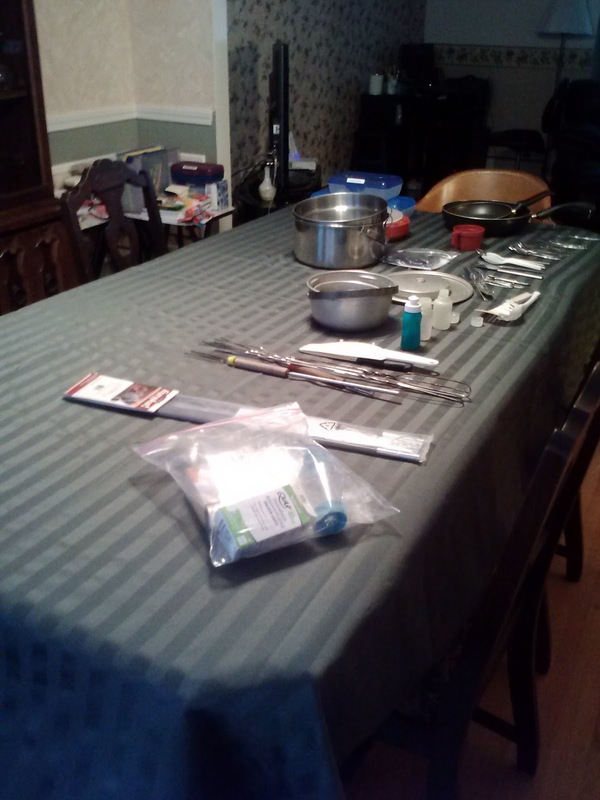 While occasionally it looks like the above photo, most of the time I have stuff on my dining room table. Yes, stuff. I am sure that my readers are shocked, as one may have the bias to think that a Professional Organizer would have a perfectly clear table, shining and polished, at all times of the day or night. Maybe some do, it's just that it's simply not me, at least not at this stage of my life. I am not advocating right or wrong here; just sharing my experience from my little corner of the world. Static: pertaining to or characterized by a fixed or stationary condition; showing little or no change; lacking movement, development, or vitality. Dynamic: pertaining to or characterized by energy or effective action; vigorously active or forceful; energetic. Our table after our recent camping trip. My table is far from static. Although there may be various piles of things on it, it is totally energetic in nature and reflects the current projects our family is involved in at any given time. For example, this summer, it has been the point place for the assembly of two large tri-folds of photos for my son's graduation party, the packing point for my three daughters' overnight camp sessions, the packing and unpacking of our family's camping trip in Canada, and this week is transitioning to the packing point for my son to go to college and the assembly of school supplies for the rest of the kids. For the past several years, during July and August the table has also been a caterpillar nursery and butterfly hatchery, although this year, the monarch's late arrival prevented us from hosting them (you can read about the caterpillars we have hatched in the past here, here and here). Throughout the summer, in between all the projects the table has often been cleared for friend & family gatherings to celebrate special occasions. Packing for our first trip to China, in 2008, to adopt Megan! Our dining room table is a special spot in our home. It is a place of energy and love, relationship building and achievement of goals. It is a place of sanctuary for things which are not quite finished, and things yet to be. It is Dynamic, not Static, and definitely not empty and polished! Tell us about your dining room table. How does it function in your life and home? Does it work for you or is it a hindrance to your energy and goals? If it is a hindrance, imagine how it would feel to free it up!